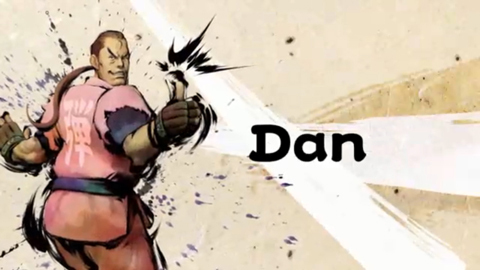 Click here for more information about Dan's other fighting game appearances. After the death of his father, Dan sought power from Gouken's dojo hoping to use his acquired knowledge to one day avenge his father. Once his master discovered his motives for training, he was swiftly booted out. This did not deter Dan, whose self-induced delusions of grandeur know no bound. Left on his own, he somehow developed a personal fighting style, mixing what little he learned from Gouken with whatever he knew of Muay Thai. Dan called it Saikyo, the Strongest Style, despite the weakness of the techniques. Having missed the previous fighting tournament, Dan is ready to enter the ring and show the world just how great he is! Which according to him, is pretty great. This page was last edited on 8 March 2010, at 17:23.